Panels introducing the sister/partner cities of Kyoto City and exhibits such as craftworks from these cities are permanently exhibited. 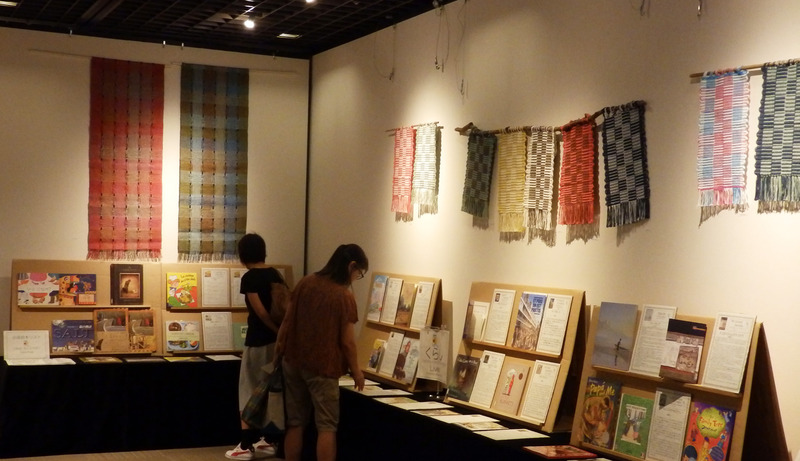 Also, special exhibitions intended for international exchange can be held at the Sister City Corner/Exhibition Room cosponsored by the Kyoto City International Foundation (about 20 times a year). The Kyoto City International Foundation seeks applicants to co-sponsor exhibitions involving international exchange. Please ask our Library/Reference Room staff regarding these cosponsored events. (1) The “Sister City Corner/Exhibition Room (hereafter, Exhibition Room)” is available for exhibitions involving local international exchange activities and promoting mutual international understanding. (4) In principle, no private exhibitions can be held. Applications can be submitted from the beginning of the month 6 months prior to the intended exhibition date. (2)	Please bring the above mentioned application form and photographs of the works you want to exhibit, and consult with us (an appointment is required for consultation). Please pay 30,000 yen for financial assistance. 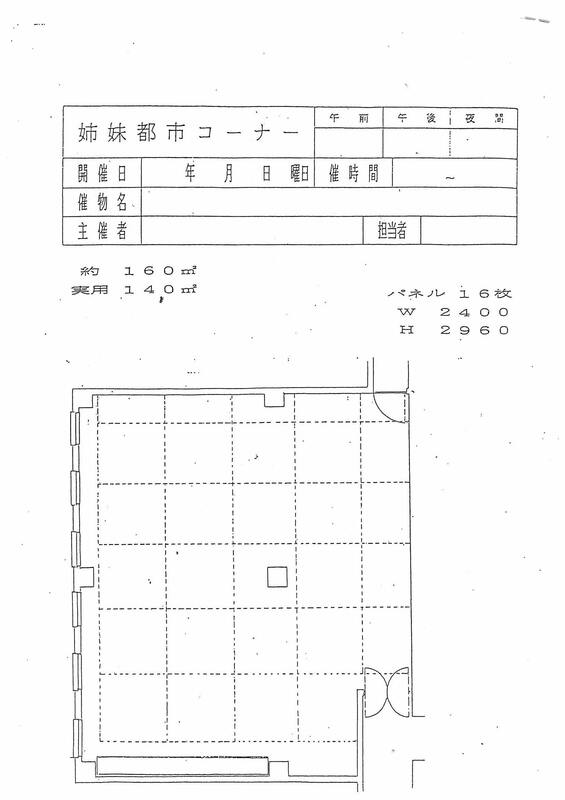 (1)	For use of the Exhibition Room, applicants may not be able to use the space at the period they originally selected, since events sponsored by Kyoto City International Foundation and related events to them have priority. (2)	The same applicant cannot hold special exhibitions more than once in the same fiscal year. Also, even if the same applicant holds an exhibition once a year, 3 years is the maximum limit for consecutively held events. (3)	Usage of the Exhibition Room for special exhibitions is limited to twice a month. ⅰ The exhibition is held with the purpose of promoting a particular political and/or religious view. ⅱ The exhibition is held with the purpose of garnering commercial gain, or is related to a group/groups looking for commercial gain. ⅲ It is felt the exhibition will disturb the operation and/or order of the hall and the Foundation. ⅳ The exhibition is recognized to have caused a disturbance in management of the Foundation and Sister City Corner/Exhibition Room. (5)	Applicants/Exhibitors can sell goods (including artworks) and/or ask for donations. (6)	Exhibitors can play live music, etc. provided people using other facilities in the building are not disturbed by it. (1)	The Foundation cannot store exhibit materials prior to the exhibition’s set up date. (2)	The entire set up and removal of exhibits must be carried out by the applicant. This requires at least 5 people. (3)	On the days of setting up/removal, a maximum of 2 registered vehicles can park at our business parking lot in order to load and unload exhibits. Non-registered vehicles and vehicles visiting the building other than on set up/removal days must park in our general parking lot (fee required). (4)	When the exhibition space is being used, one or more observers must be present. The Foundation does not assume any responsibility for theft and/or accidents affecting exhibits and other materials. (5)	Exhibitors are not allowed to use nails or thumb tacks on the walls and exhibition panels to set up exhibits. Lighting fixtures are fragile, so please handle them with care. If the applicant damages the facility/fixings to a significant degree, the Foundation will request the applicant to pay for the actual cost to restore them to their original condition. (6)	Removal of exhibition materials must be completed by 6 p.m. Please restore the space to its original condition and be inspected by the person in charge at the Foundation. (7)	Any actions or behaviors that disturb others and drinking/eating are prohibited in the space, including causing noise. (8)	Please take all of your garbage with you. (9)	The Foundation may limit the time to use the space due to management reasons. (10) Please follow the orders of the Foundation regarding any matters of usage. If the applicant does not follow the required rules and regulations, permission to cosponsor an event in the Exhibition Room may be cancelled. The Foundation does not assume any responsibilities such as compensation for damage caused by the cancellation.